Bernard's got a problem. He's found a monster in the back garden but his mum and dad are just too busy to notice. So Bernard tries to befriend the monster... and that doesn't go quite to plan. 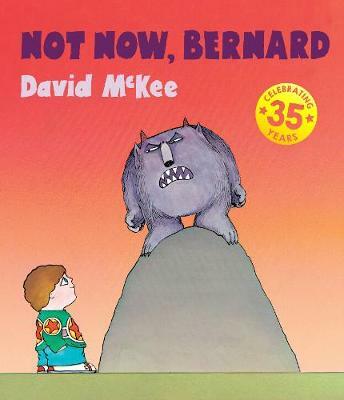 Loved by children, monsters and adults for thirty five years, David McKee's iconic picture book is celebrated in this special anniversary paperback that includes embossing and a free downloadable audiobook.